In modern herbalism, making tinctures with, say, 80 proof vodka is common, but we often forget that distilled alcohol has only been widely available for 400 or 500 years. Prior to this, herbalists had to make their own alcohol. Before distillation techniques became widely available, we had a â€œceilingâ€ in terms of alcohol content of about 18 to 20%, or about 40 proof. This is the percentage of alcohol we can get before there is too much alcohol present for the yeast to survive, which brings up an interesting point/metaphor â€” can you think of another organism besides yeast that gradually toxifies its environment with its waste products, until it can no longer survive? 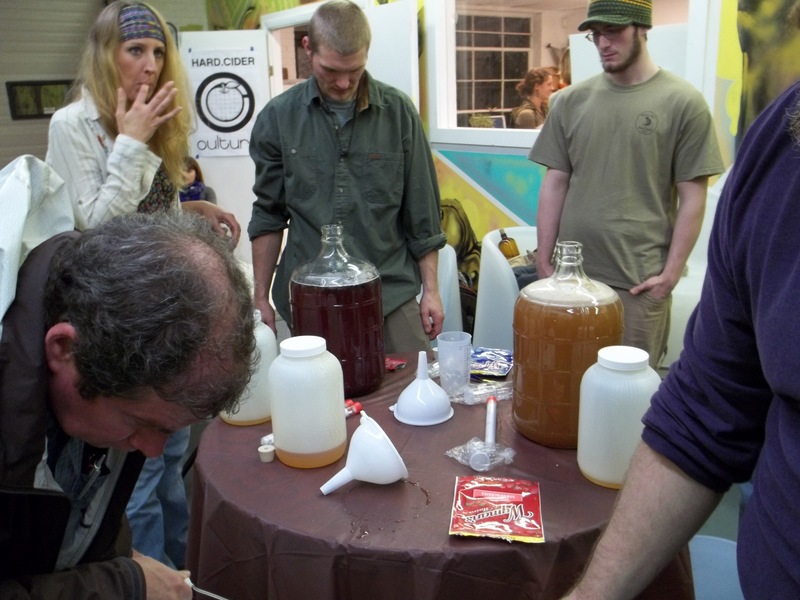 I view mead as the highest alchemical expression of a given ecosystem. Honey is nearly ubiquitous to the planet, you have to go to the extreme latitudes before you can no longer find honey. I view honey as the lifeblood of an ecosystem, and when we use this precious substance as the sugar for fermentation we are creating beverages on the highest order of what the ecosystem has to offer. If you havenâ€™t yet tried mead, I suggest you get some as soon as you can and share it with friends, preferably under the stars and around a fire, with a song or a poem. While there have been some very exciting developments in commercial meaderies over the past decade (meadmaking is undergoing a similar renaissance to what microbrewed beers underwent 2 decades ago), all of the best meads Iâ€™ve tried have been homebrewed, either by me or my tribe. Try to find a meadmaker near you, chances are they will be thrilled to share their mead and their enthusiasm with you. The above are just three excerpts from the interview. I’m so excited to have been introduced to this very cool community of herbalists! I’m happy to announce that I’ll be offering a Lore And Craft Of Mead Workshop in Auburn, ME on Tuesday, July 26th at 6pm. The workshop will include a small mead tasting of a few brews I’ve done, a talk about the lore and value of mead, and a demonstration of how to make your first batch of mead. Registration for the class is $30, and includes a copy of The Lore And Craft Of Mead eBook. If there are any questions, or specific requests for what the class should cover, please contact us! I’m very much looking forward to sharing the magic of mead with Lewiston/Auburn people! Space is limited, so register now! I’m happy to announce that I’ll be offering a Lore And Craft Of Mead Workshop in Manchester, NH on Thursday, June 30th at 7pm. The workshop will include a small mead tasting of a few brews I’ve done, a talk about the lore and value of mead, and a demonstration of how to make your first batch of mead. Registration for the class is $30, and includes a copy of The Lore And Craft Of Mead eBook. In addition, I will have brewing kits available, that include all the equipment and basic ingredients you will need to produce your first batch of mead, including a 3-gallon glass carboy, rubber stopper, airlock, funnel, siphon hose, and a hydrometer, as well as a gallon of fantastic local (to me in Maine) honey and a packet of yeast. NOTE: As of June 25 it is too late to get the brewing kits in time for the workshop. Class registration is still available. If there are any questions, or specific requests for what the class should cover, please contact us! I’m very much looking forward to sharing the magic of mead with Manchester people! Space is limited, so register now! This week on the Sweet Peas Podcast, we were very happy to interview Harper Meader, who in addition to being a contributor to this site and my meadmaking mentor, is a fabulous storyteller and interviewee. He was kind enough to bring a 1996 pumpkin mead — fermented inside of a pumpkin — that we shared on the air. If you’ve never had a 15 year old mead, well, words fail. This is one of my favorite interviews we’ve done for the podcast…. check it out (get the mp3 here, or the rss subscription file here). In this episode, we refer to a posting on this site by Harper, called So You Brewed Some Mead…. You can find it there. UPDATE: As of June 2017, this eBook is no longer available. If you really, really would like a copy, then contact me and we’ll work something out. We’re excited to announce the release of this ebook as a PDF download! This book has been a long time coming. 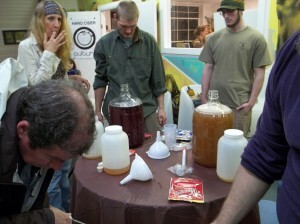 Since I started brewing years ago, I knew that I wanted to help teach people how to make their own fermented beverages. It’s not a terribly difficult process, but I felt the process was more complicated for beginners than it perhaps should be. Later, when I took Harper Meader‘s “Measure by the handful and stir with your arm” meadmaking class, I knew that I had finally found my fermented beverage of choice. Mead has many things going for it; it’s humanity’s oldest fermented beverage, it’s made from one of the most profound foods known (honey), and it’s really simple and easy to make a delicious batch. This book builds (or perhaps restores) a bridge between two camps: traditional meadmaking, and traditional herbalism. If we go back far enough there is no difference between the two. So if you are an experienced meadmaker looking to add a dose of herbalism to your brewing, or if you are an herbalist looking to get into meadmaking, this book will speak to you. Of course, it is also ideal for the beginner as it walks you through every step of the way. There is somewhat of a focus on keeping mead a healthy beverage; I speak of spring water, the best local organic honey you can find, and local or wildharvested ingredients for your mead. Honey and good water are both profound nutrients for the human body; when we combine them with yeast and other ingredients from our ecosystem we can get some of the most powerful beverages available anywhere. I also worked hard to cut out the fluff, and make the book as concise as possible. Those of you who know me or my default writing style know this is no easy task. ;-)Â Â Â My aim was to take this meadmaking method, which both is simple for the beginner and very expandable for the intermediate or advanced meadmaker, and keep it to a booklet-length document, cramming as much information as possible into 16 pages. Hopefully I was successful. So for all of humanity’s meadmakers, past, present, and future, I raise my drinking horn to you! Coming very soon, to a browser near you, will be the first publication from BardicBrews.net. It is to be called “The Lore And Craft of Mead,” and will be a detailed introduction to mead, as well as how to make your own mead. 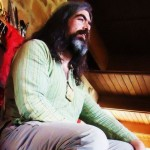 It is a more distinct version of some of the content on this site, as well as new information on taking meadmaking next-level. If you are interested in getting a copy of this book when it’s avaiable, watch this space. I’m presently putting the finishing touches on the book, as well as getting infrastructure (ecommerce/paypal etc) work on this site in place. The book will sell for less than $20, especially for early adopters. Stay tuned!